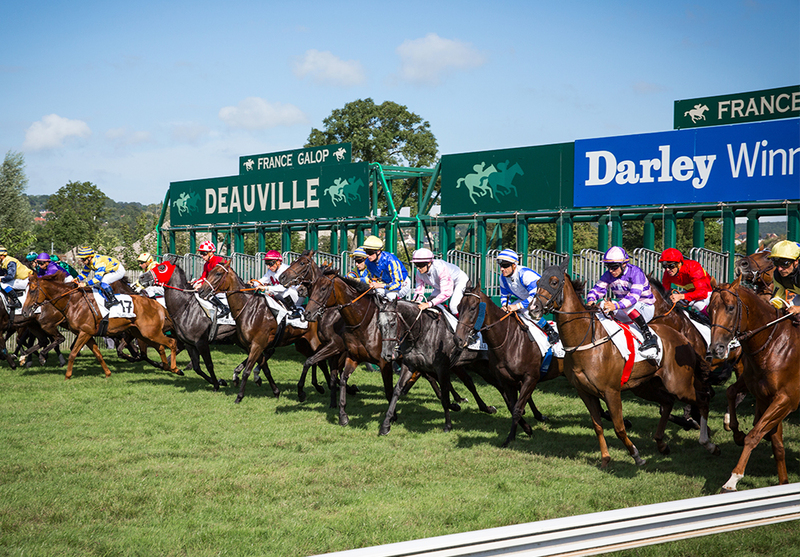 From Saturday 27th July to Wednesday 28th August 2019, the seaside town will host some of Europe's best flat races during the Barrière Deauville Meeting. 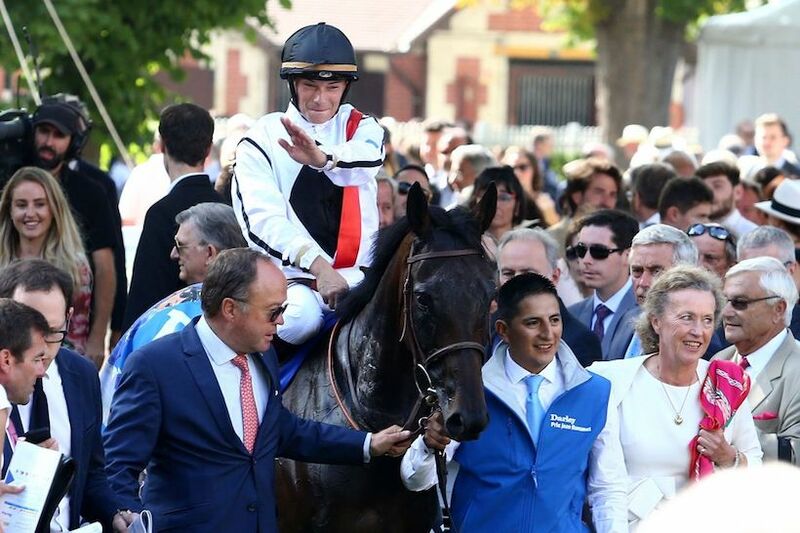 Whether you are an avid racing fan or a curious holidaymaker, you are guaranteed a great day out watching these thrilling events, in which the world's very best thoroughbreds paired with elite jockeys battle to gallop past the post in poll position! Come and watch an outstanding series of sporting competitions and cheer on the champions’ exploits! 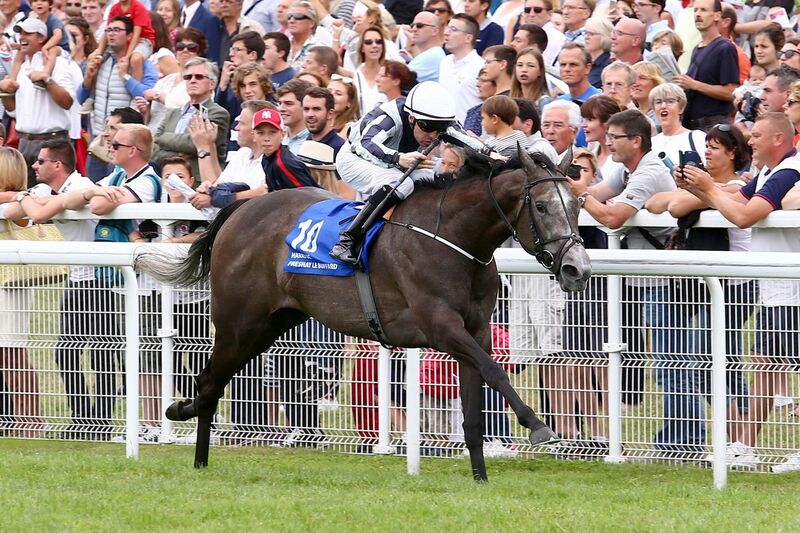 This Group 1 race, the highest category of horse race, is reserved for mares aged 3 and over. It is run over a mile, the ideal distance for showcasing speed. This race is highly spectacular to watch, as the field gallops at speeds of over 60 km/h (40mph) within touching distance of the spectators! 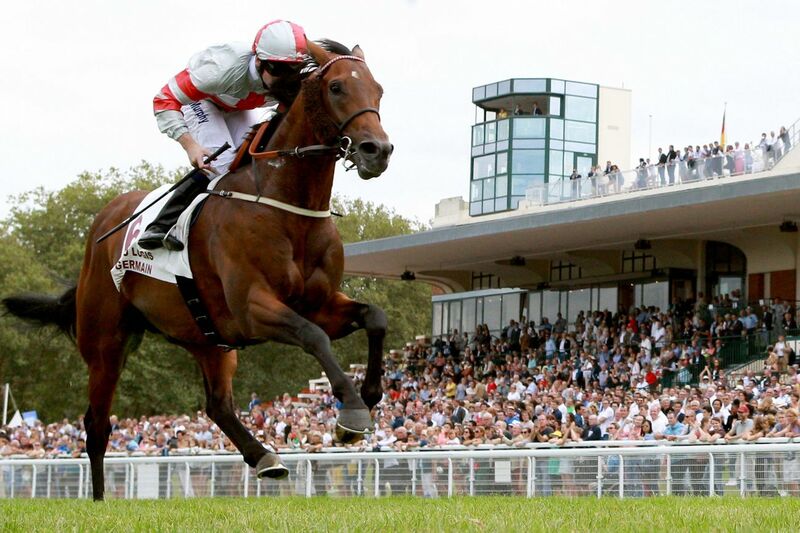 This is one of the Barrière Deauville Meeting's most eagerly-anticipated races as it is one of very few European races run over the distance of 6½ furlongs. 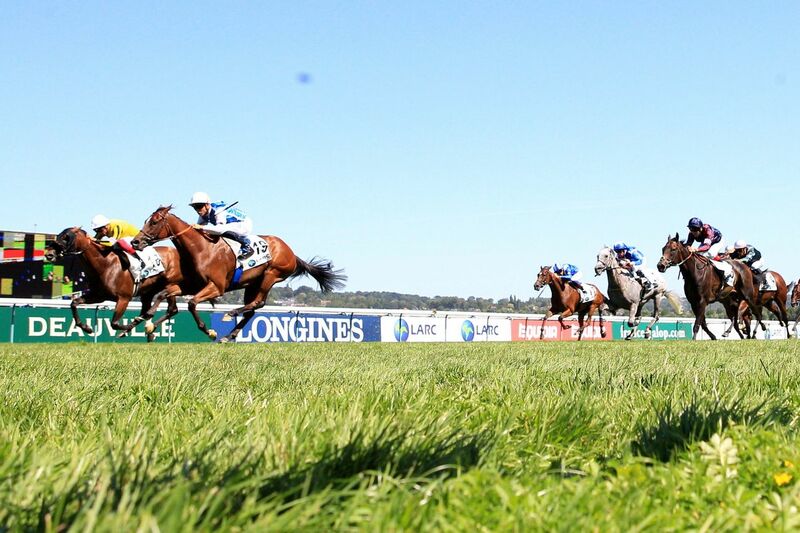 Because of its unusual distance, this sprint race gives rise to an eclectic field made up of Sprinters – specialists over distances of between 5 and 6 furlongs – and Milers, whose favoured distance is a mile (8 furlongs). This Group 1 race is always a great one to watch. 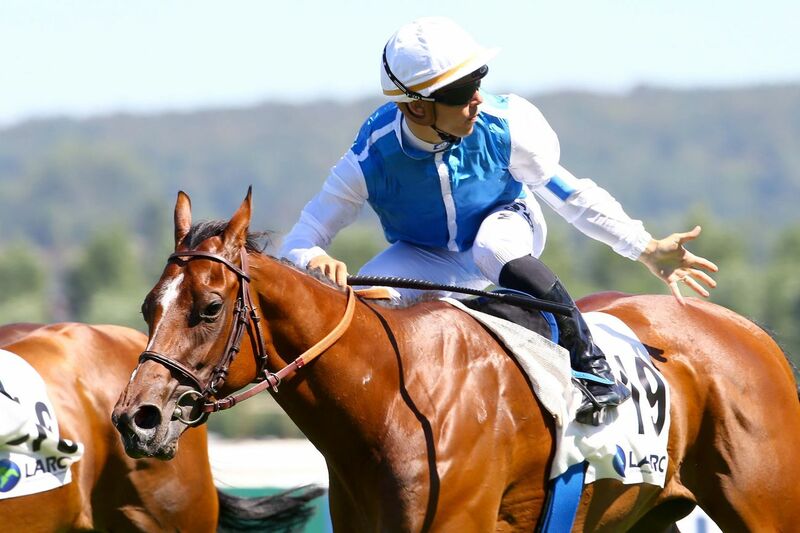 The Barrière Deauville Meeting also shines the spotlight on purebred Arabs with two Group 1 races, the highest category of horse race, reserved for this breed. One is for 3-year-olds and the second is for experienced horses aged 4 and over. Horse racing's most acclaimed breed, the English thoroughbred, is a descendent of the purebred Arab breed. In the 18th century, oriental stallions were crossed with native English mares, giving birth to the English thoroughbred breed which is renowned for its speed. 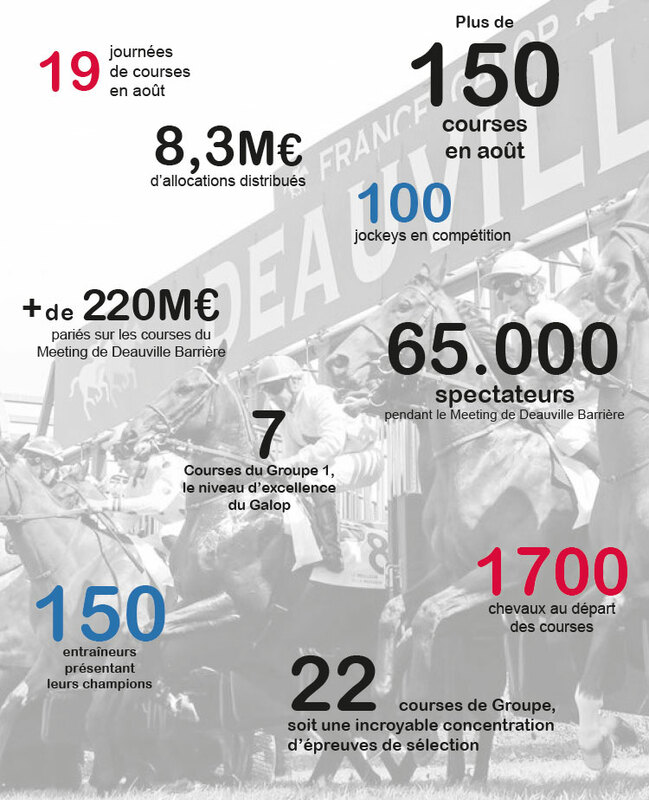 This sprint race run over a mile boasts the highest purse of the Barrière Deauville Meeting, with €1,000,000 to be shared out among the first five finishers. Open to males and females aged 3 and over, its field is made up of young hopefuls and their more experienced elders. Champions flock from all over Europe to compete in this race, sometimes even further. It is one of the Meeting's most spectacular races! 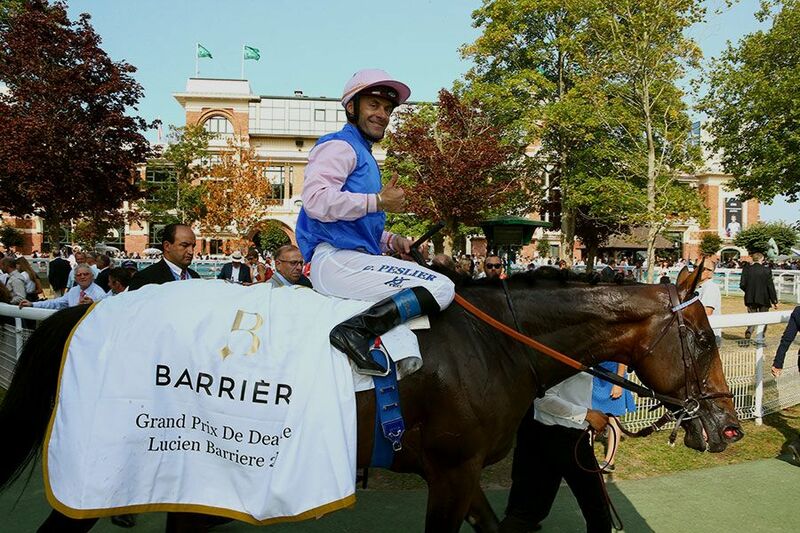 Reserved for 3-year-old horses, this race is often run by the stars of the QIPCO Prix du Jockey Club. This was the case of New Bay in 2015, and Almanzor and Zarak in 2016. 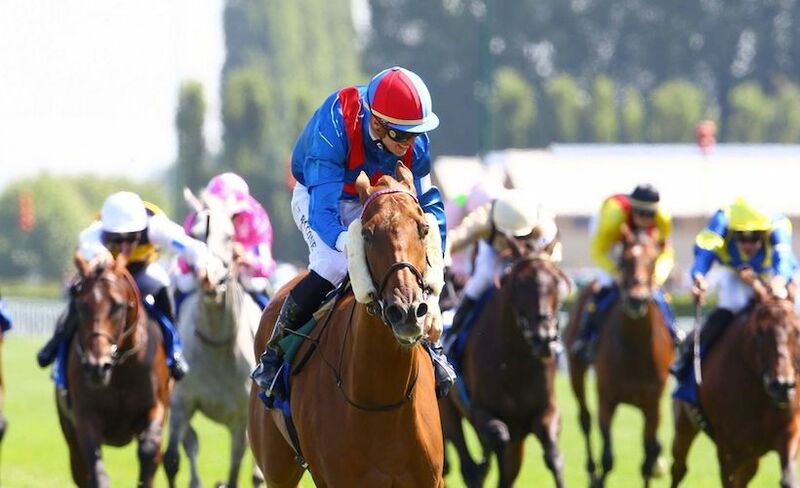 From a sporting point of view, this event is known as the best race for 3-year-old horses held on Deauville - La Touques racecourse and really tests the horses’ staying-power! This sprint race is run over a short distance of 6 furlongs, reaching speeds of nearly 60 km/h (40mph) past the finishing post. The young mounts have under a minute – the time is takes to complete the course – to stand out! The winner earns the title of best young sprinter. This Group 1 horse race is reserved for females aged 4 and over, the age of experience in gallopers! 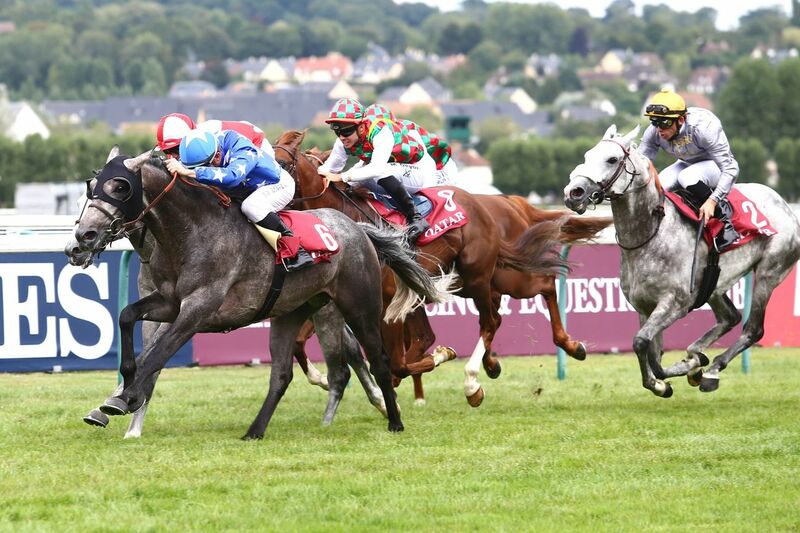 The horses that stand out in this mile and 2 furlong event will go on to compete in the most important races of the autumn, namely the Qatar Arc Trials, which serve as a dress rehearsal for the Qatar Prix de l'Arc de Triomphe weekend. THE race for confirmed champions! This is one of very few events in the flat racing calendar to be run over such a long distance: a mile and 7 furlongs! Lining up in the starting gates are horses aged 3 and over with enough stamina to triumph over this gruelling course. The race also acts as preparation for the Melbourne Cup in Australia! In 2010 and 2014 respectively, Américain (a French horse, despite its name!) 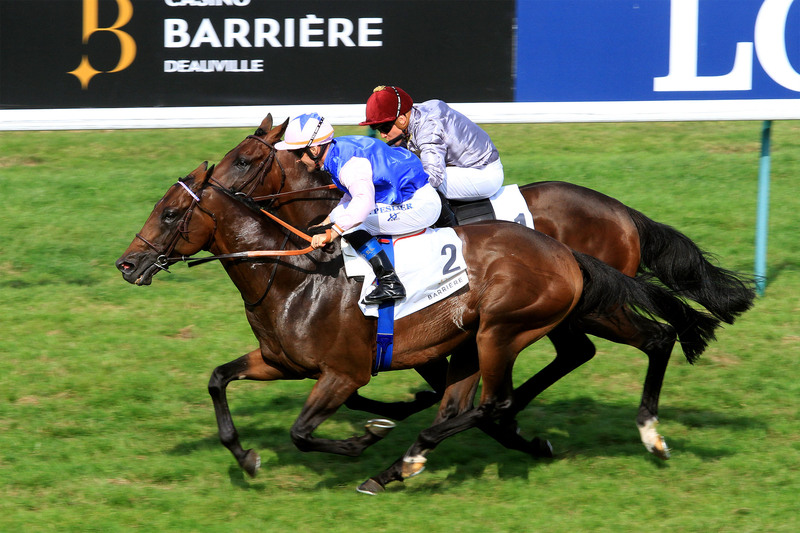 and Protectionist (Germany) won the Darley Prix Kergolay - Melbourne Cup double. A real test of endurance! 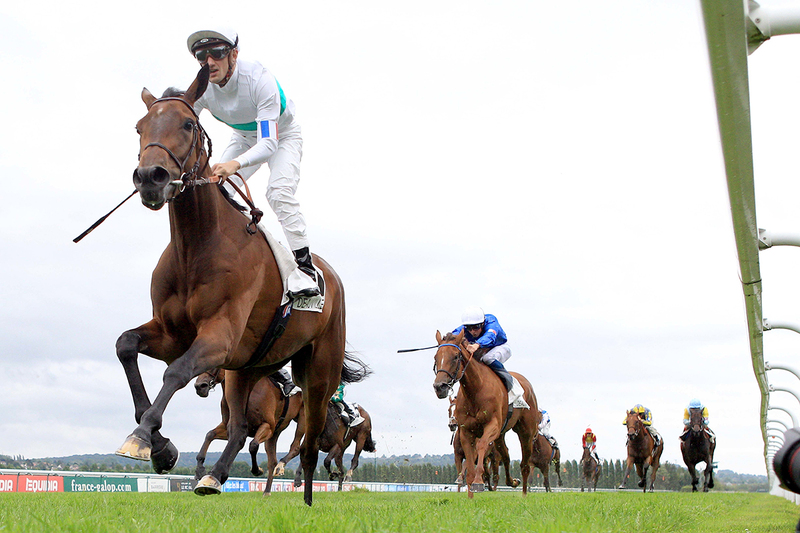 This race is in the Group 2 category, one of the highest classifications in flat racing. It is reserved for English thoroughbreds aged 3 and over, and is run over the unusual distance of a mile and 4 ½ furlongs, which requires the participants to juggle their speed and stamina. - 27, 28 and 30 July. - 2, 4 , 6, 8, 10, 11, 13, 15, 17, 18, 20, 23, 24, 25, 26 and 28 August. 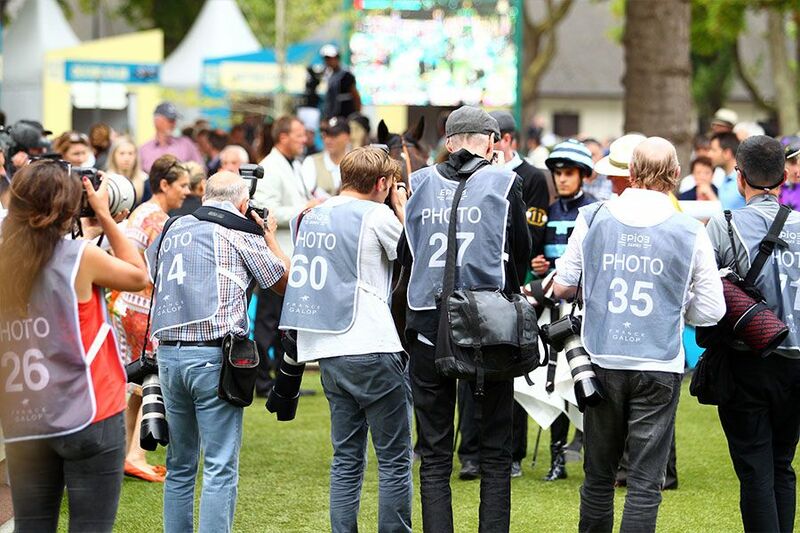 The finest jockeys, the best summertime races, and the shared excitement of sport. Great racing in a friendly, welcoming ambiance. 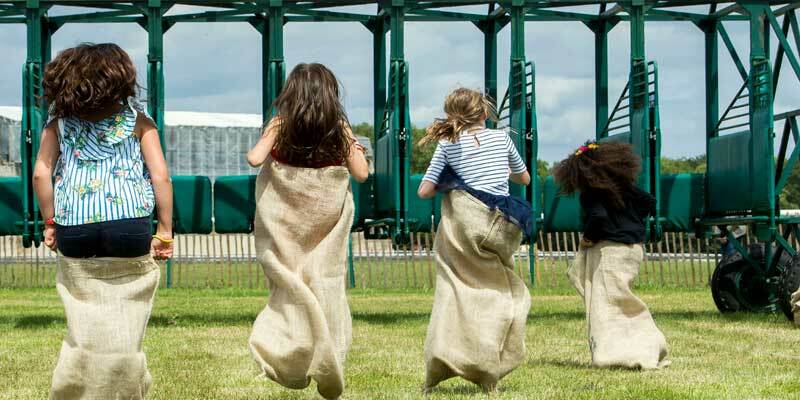 Get into the summertime spirit and switch off: trackside chillout zone, deckchairs, picnic, food trucks, and a host of free activities: mini-racecourse for young ones, pony rides, merry-go-round, betting for beginners, a racing simulator, and much more besides. 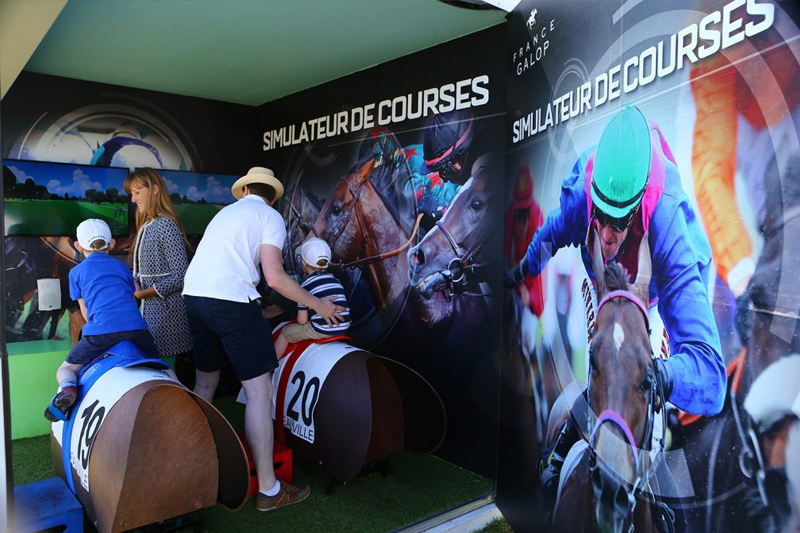 From 27th July to 28th August, the jockeys go head to head in every horse race held at the Barrière Deauville Meeting between 28th July and 26th August! 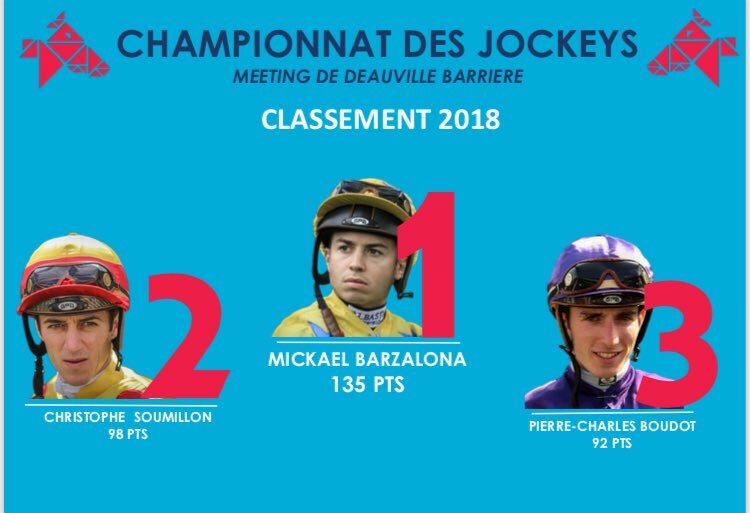 Who will succeed Mickaël Barzalona, winner of the 2018 edition? From 1st to 3rd place, every result counts! 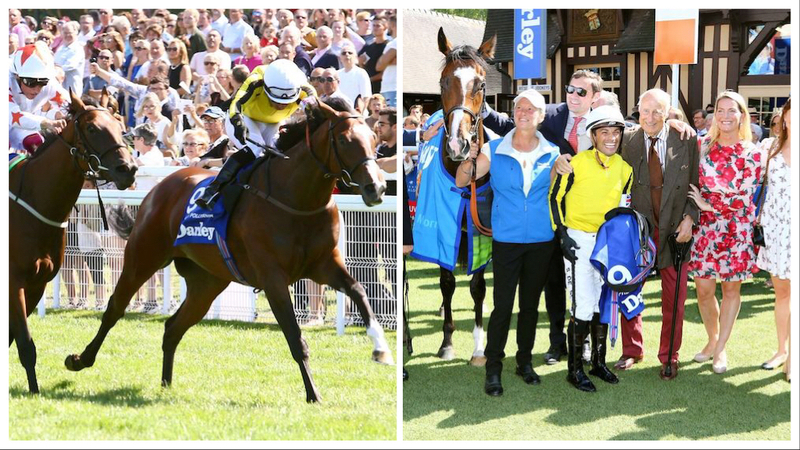 The prizegiving ceremony will be held on Sunday 26th August, after the Lucien Barrière Grand Prix de Deauville (Group 2). 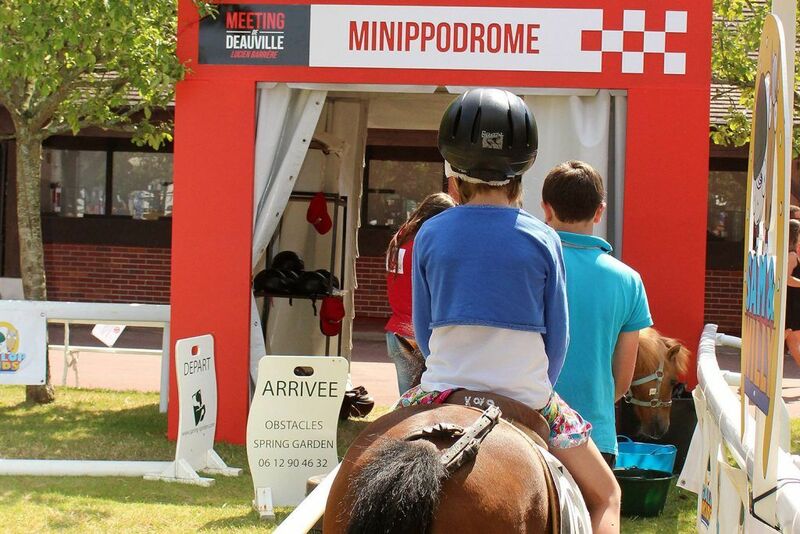 Our ponies are on hand to take children aged 3 and over on a pony ride around the mini-racecourse, to give them a taste of life in the saddle! Our trampoline, mini stables and giant petits-chevaux game will keep your children entertained for the whole Meeting. 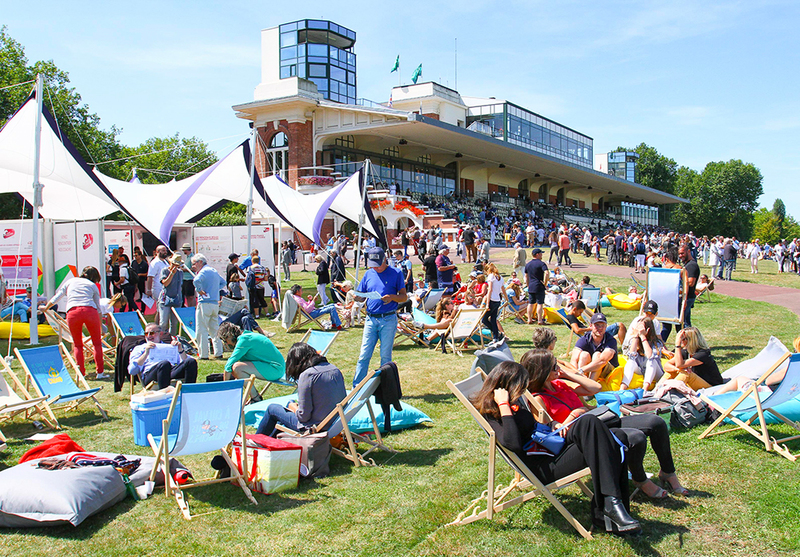 Sun loungers, bean bags and picnic tables…at the Barrière Deauville Meeting, you can indulge in a relaxing break from the daily grind! STEP INTO THE SHOES OF A RACING COMMENTATOR! The race is about to start… Step into the booth and become the official race commentator! LEARN EVERYTHING THERE IS TO KNOW ABOUT HORSE RACING! 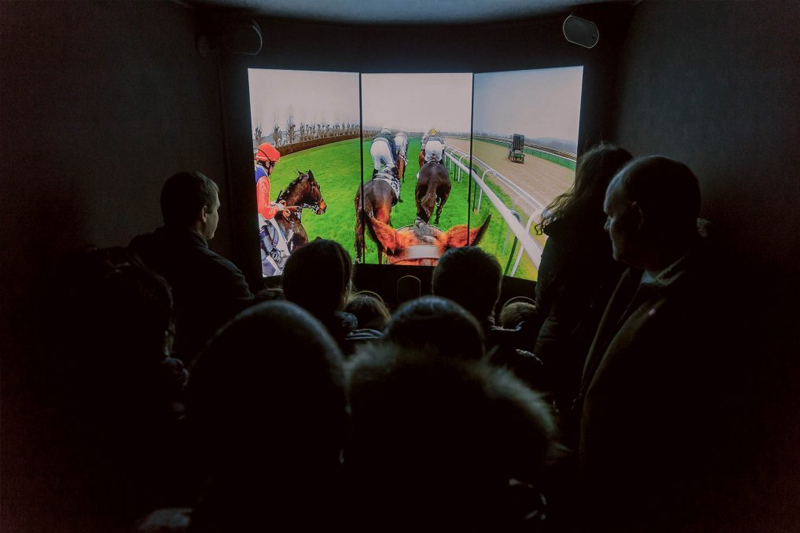 In a convivial atmosphere, racing experts will teach you all about horse racing and will give you a whole host of tips and advice to help you fully understand this exceptional sport! Throughout the day, there are plenty of prizes up for grabs, like the opportunity to watch the start of the race from the starting gates. 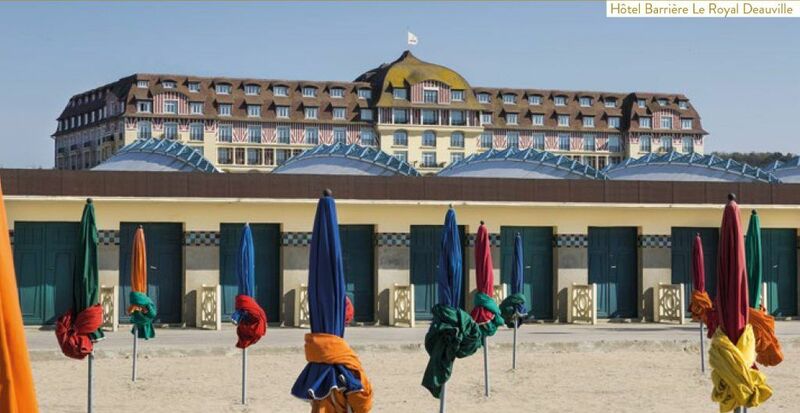 This is also where the behind-the-scenes tour of Deauville racecourse leaves from. Go home with a sporting souvenir and meet some racing champions! 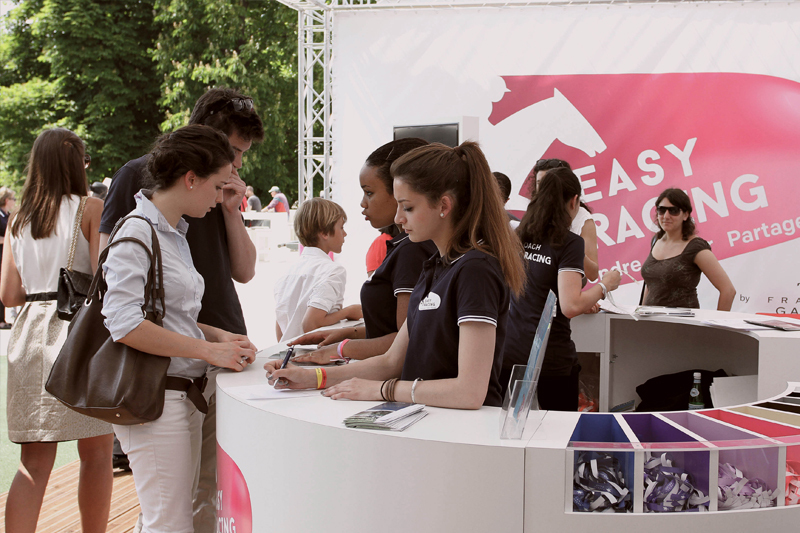 Every race day, the jockeys will hold an autograph-signing session in the Easy Racing Zone! Barrière is a brand that commercialises hotels, casinos and restaurants from two separate groups: the Groupe Lucien Barrière (GLB) and the Société Fermière du Casino Municipal de Cannes (SFCMC). Founded in 1912 by François André and then developed by Lucien Barrière, Diane Barrière-Desseigne and Dominique Desseigne, Barrière has stood the test of time to become France's leading casino group, a benchmark for deluxe hospitality and a global stakeholder for Leisure and Entertainment. 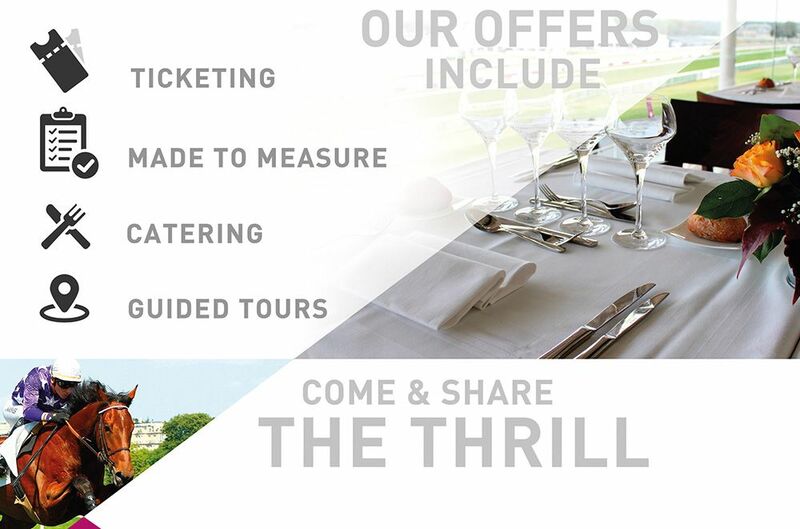 Barrière has developed unparalleled offers in the high-class leisure industry, constantly striving to guarantee operational excellence, top-quality service and French art de vivre. Today, it comprises 34 Barrière casinos (including one that will soon open in Cairo), 18 Barrière hotels* (most of which are 5-star) and more than 120 restaurants and bars, including the famous Fouquet’s in Paris (which is also established in Cannes, Courchevel, La Baule, Marrakech, Toulouse and Enghien-les-Bains) and organises more than 3,000 shows and performances per year. The two groups recorded turnover of 1.16 billion euros for the year ending 31st October 2016. They have nearly 7,000 collaborators. Barrière also boasts a superb reputation in the catering industry with nearly 2 million meals served, and in leisure with its 15 spas, 1 thalassotherapy centre in La Baule, 1 balneotherapy centre in Ribeauvillé, 3 golf courses and 2 tennis clubs, and stands out thanks to its resorts located in internationally-renowned tourist destinations. For security reasons, pets are forbidden. – The racecourse is 400m along the road, on your left. THE PLACE TO BE! 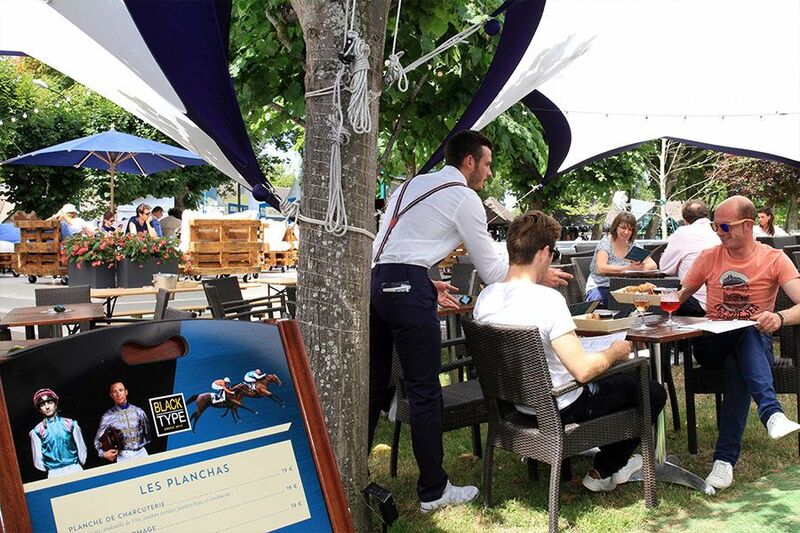 Racing professionals and spectators rub shoulders in this trendy bar, located in the heart of the racecourse. 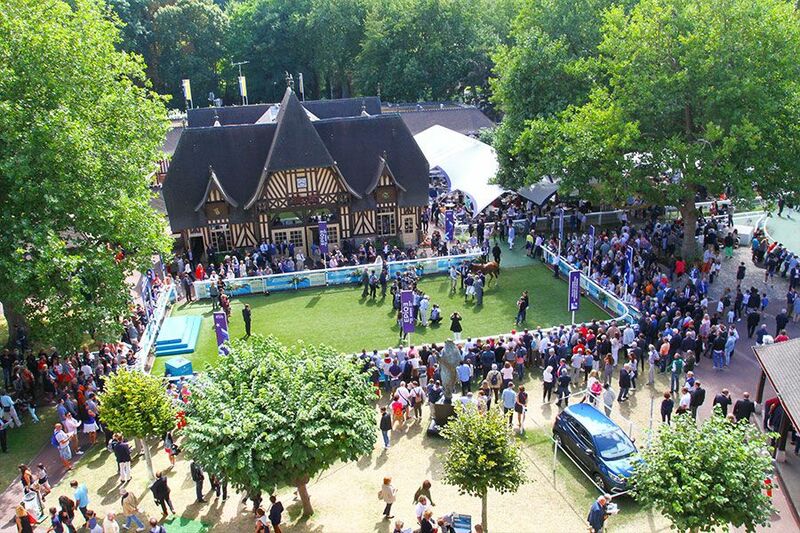 Lounging comfortably on the terrace, surrounded by lush plants, patrons enjoy unhindered views of the presentation ring where the champions parade before their race. This summer, the drinks list includes a range of detox cocktails! 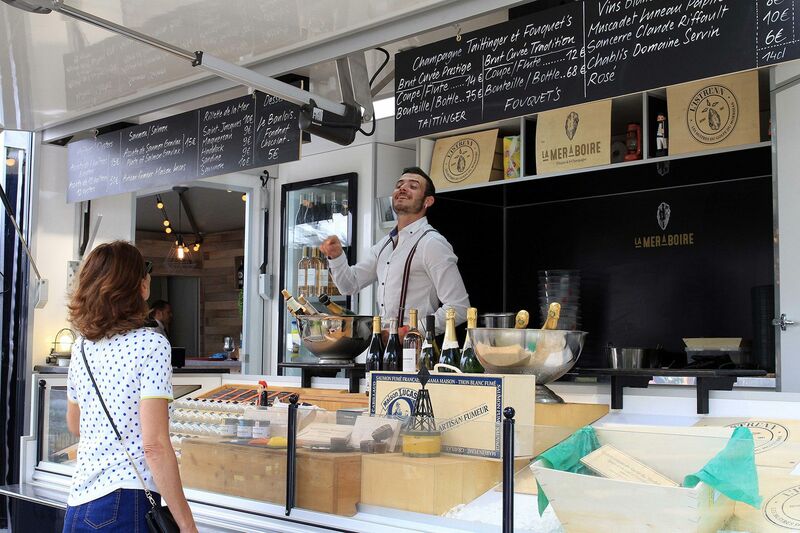 The area boasts a highly original catering offer thanks to the “La Mer à Boire” food truck (oysters and champagne), La Brûlerie Saint-Jacques (coffee and hot drinks) and the Brok Café. Antoni, Bertrand and Christophe invite racegoers to sample delicious morsels from their native land and seas. Savour this unique experience in a convivial and festive atmosphere. IceRoll is an innovative way of making ice cream, by rolling it out onto a slab cooled to -30°C. The fruit and cream are transformed into a delicious dessert before your very eyes! Gourmet bistro dishes made using seasonal produce, with daily specials and a set menu. Menu created using seasonal produce, with daily specials and a set menu.